In its simplest form the movements we make in our golf swings are just about creating some energy we can give to the ball and how we can best control that energy. These movements will certainly be influenced by how we hold a club or how we stand to the ball. Perhaps this energy is compromised if the club only swings back a certain length or swings back too much. These are the sort of things that most golfers will think of if they go to the practice range and for good reason too as they certainly have a part to play in how we develop efficient and effective golf techniques. However I think there are 3 components that are often overlooked or assumed that we have less control over and that they will happen naturally anyway. Certainly to some degree this may be true,but it is often these 3 essential ingredients that connect the dots together for our swing to be a functional, efficient and consistent unit. It’s why our swings work one day but perhaps not the next. They are inter-related too, if one is poor the other two are compromised, they must work together. Rhythm is the timing of events. Tempo is the speed we do them at. Co-ordination is the putting together of the components using rhythm and tempo. We are all born with the skill to pick up regularity (the beat) from a varying rhythm (beat induction) and perhaps this is where our basic skill of developing rhythm in the swing comes from, but we must educate it and train it. 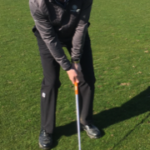 Start by swinging using a really easy tempo, feel the sense that you are waiting fractionally between the end of your backswing and the start of your downswing, notice how the start of your downswing is not a sudden jerky movement in your good shots. Once you have the feeling you can build up the pace smoothly so you are accelerating through impact without any obvious forceful effort. Dynamic balance is sometimes the term used to describe your ability to maintain balance while moving. In golf we need to develop and maintain rotational balance, a great drill to help this is to hit some shots with your feet together. It is important though to make sure you turn and not just swing your arms from side to side. 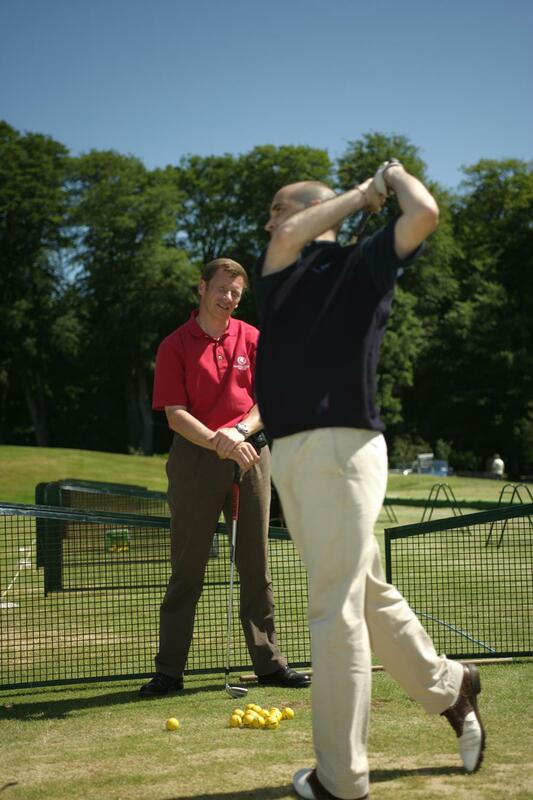 Recognising the signs when we have too much physical tension before and during our swing is not as obvious as you may think. It’s very easy to start gripping the club to tight or have tension in our neck and shoulders from trying to put ourselves in good posture. 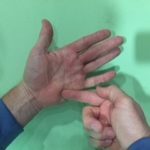 It is a natural action to increase our physical tension when we are trying hard to put ourselves in positions that may not be as automatic as we want them. Mental tension or nervousness will also be a major culprit for physical tension. This is not to say that our body should be totally loose. Becoming more aware of our bodies and how we move them, regularly reminding ourselves to check to see if we are as relaxed as we need to be should be part of routine when golfing. Also any exercises you do that can promote flexibility and mobility in the right areas can only be beneficial in letting you understand how your body functions best. 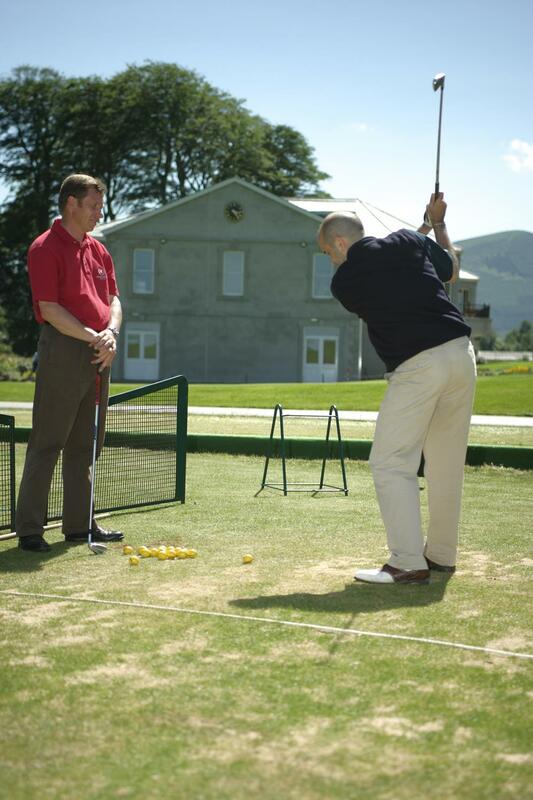 Appointments with Paul for golf lessons in Wicklow can be booked via Powerscourt Golf Club Reception: Tel (01) 204 6033 or the Golf Shop Tel (01) 204 6031. 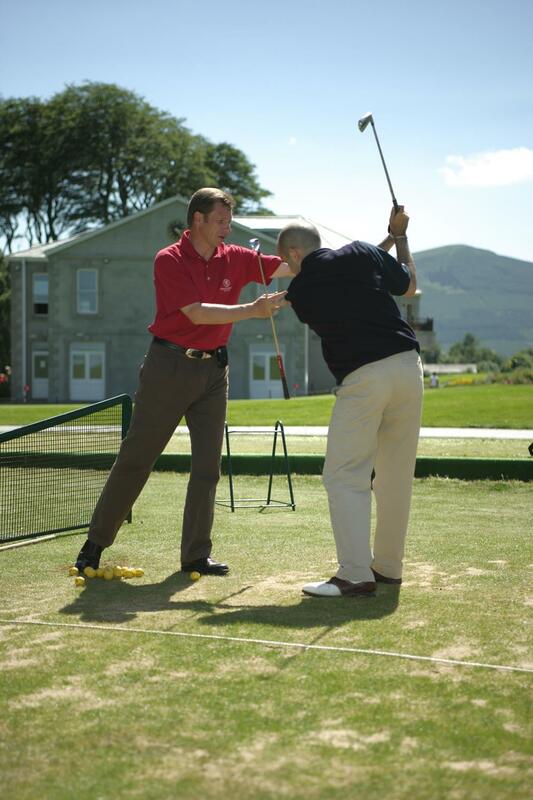 Read more about lessons from Paul Thompson by visiting the Powerscourt Golf Club Website. ⇐ Win Tickets to the Irish Open! !